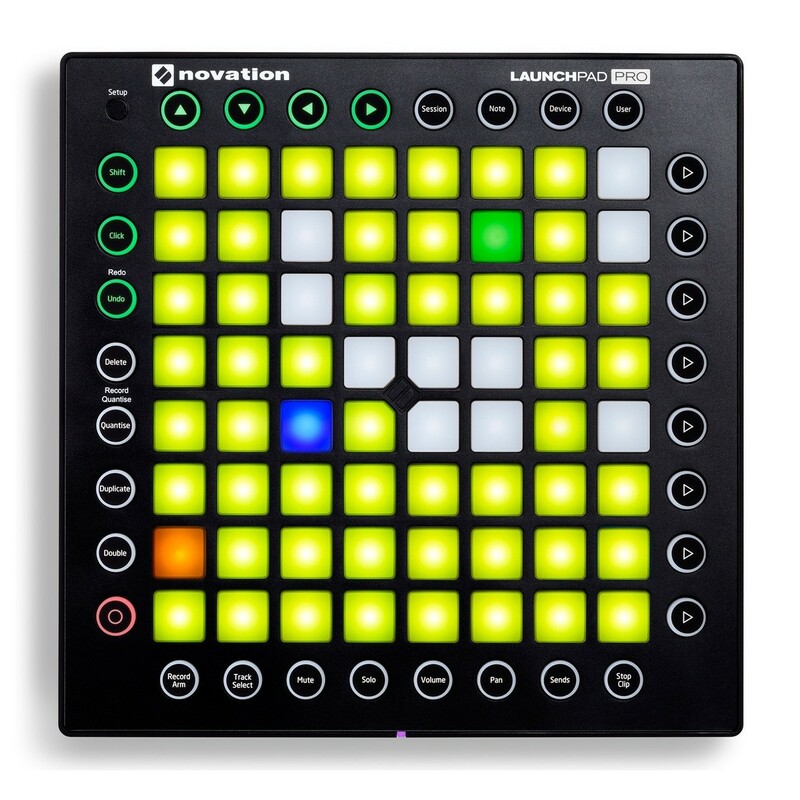 The Novation Launchpad PRO Performance Instrument is the ultimate software controller for DJs, performing musicians and studio producers. 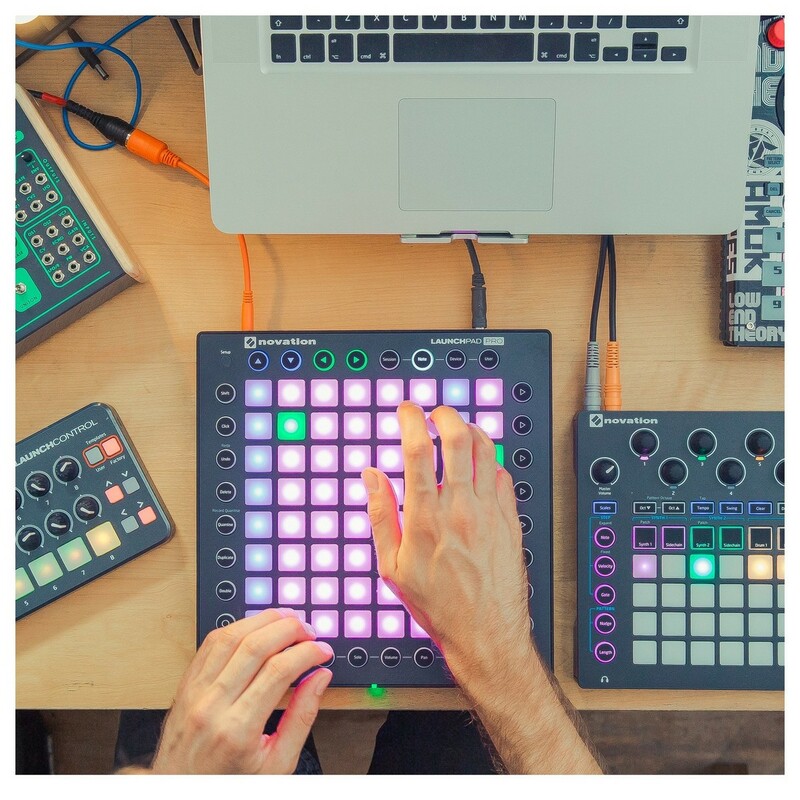 Using an 8x8 grid of RGB velocity-sensitive pads, you can create dynamic, expressive performances with the included Ableton Live Lite or any other music software. 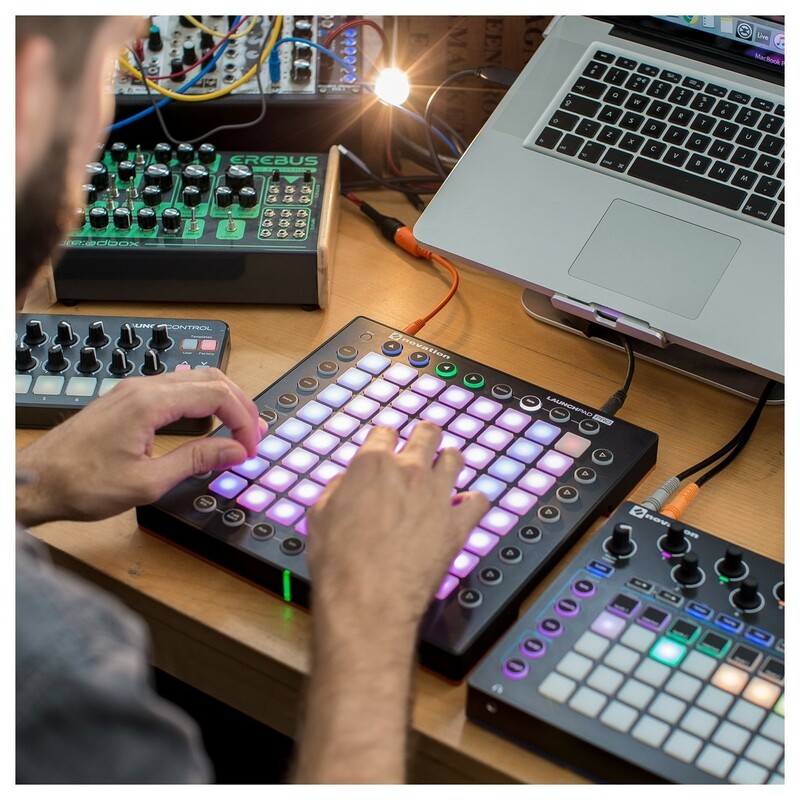 Trigger and combine clips, create dynamic beats, bash out melodic lines, control your external hardware and much more with this professional-quality performance instrument. Session Mode: Immediately trigger and combine your clips. 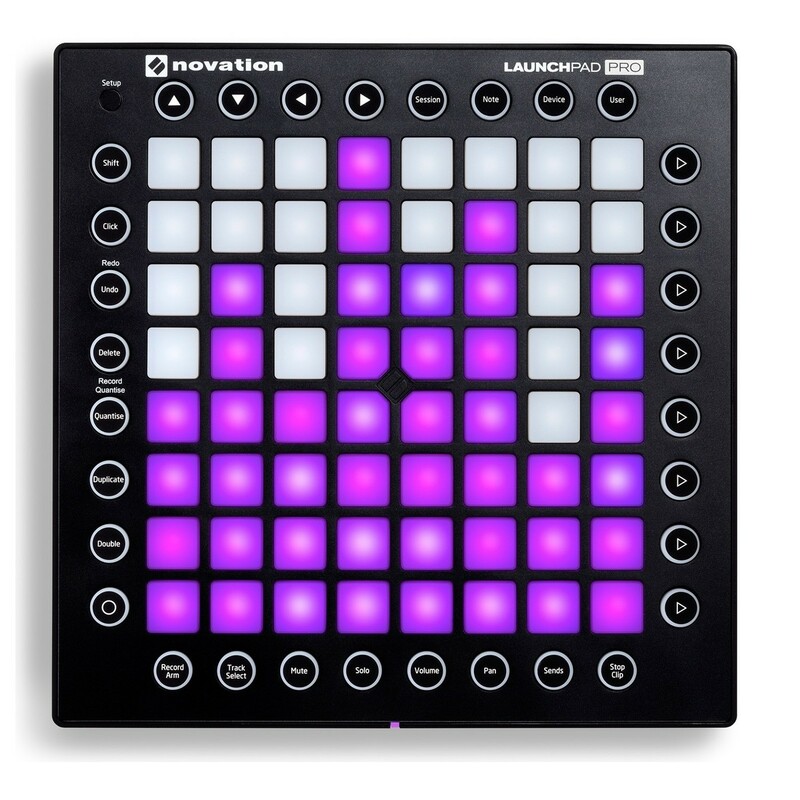 Note Mode: Create dynamic beats and play the grid just like an instrument. Device Mode: Easily apply effects to your performance. The whole instrument is designed to keep you focused on your performance. 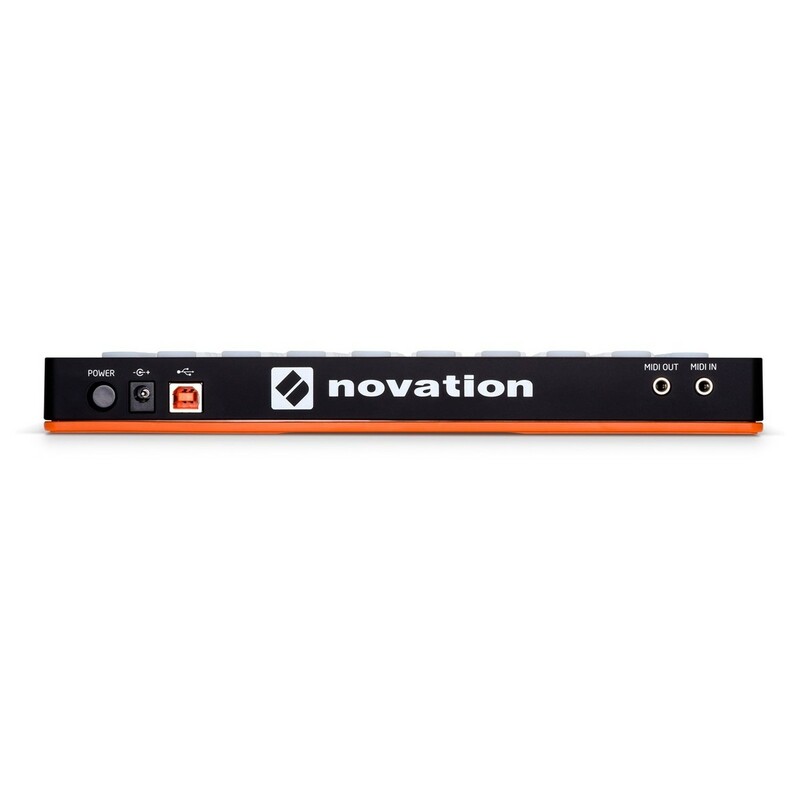 It lets you easily and immediately apply effects, while dipping in and out of specific mixer controls at the touch of a button. 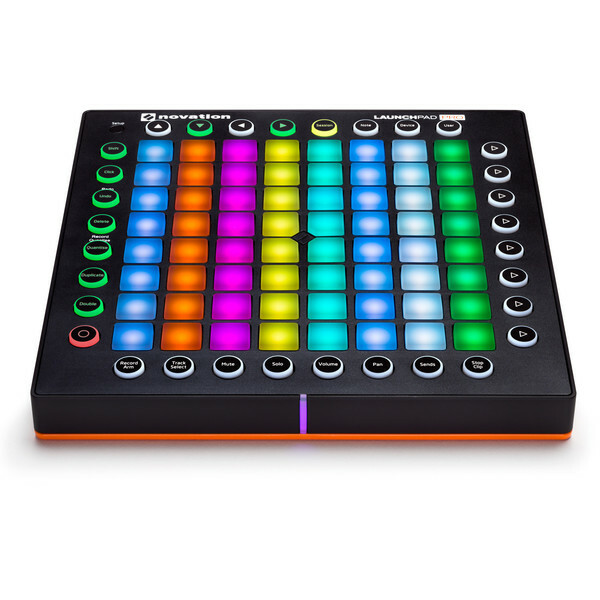 Of course, if you want to get really creative, you can build just about anything you can imagine with Max for Live and use your Launchpad PRO to control it. It's sleek, lightweight and tough enough that you can throw it in your bag and know it will survive even the roughest gigs. It also comes with everything you need to get started: just plug it in and start making music. 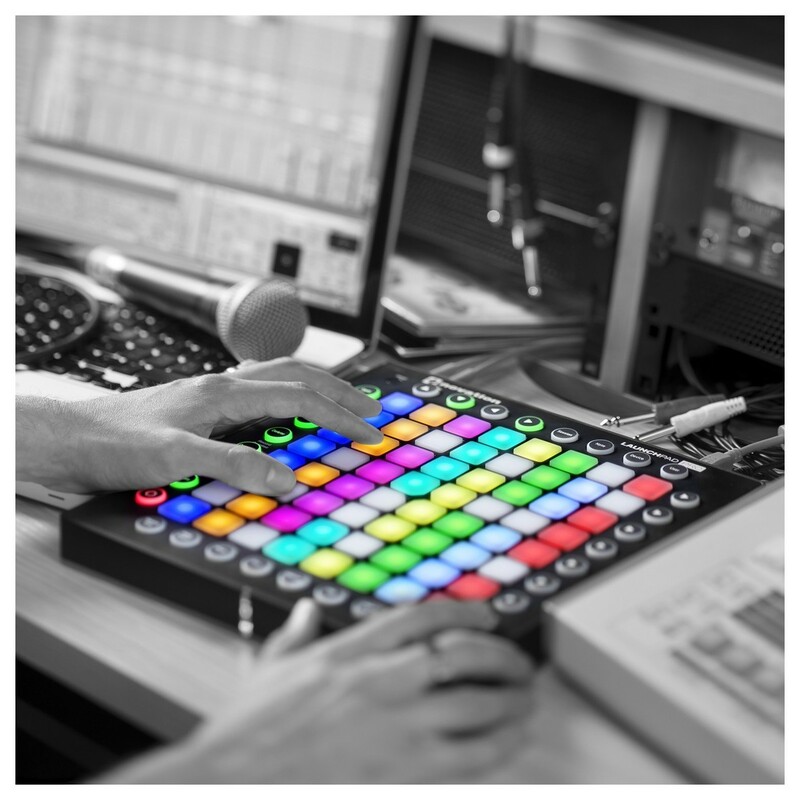 Launchpad PRO is the best and simplest performance grid instrument for Ableton Live. 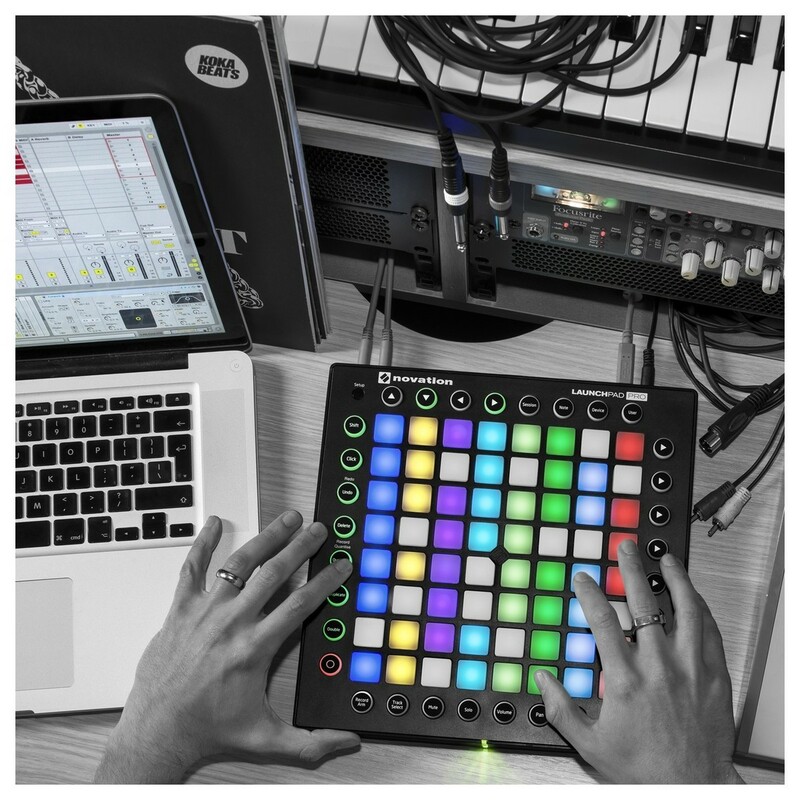 It integrates seamlessly and simplifies the challenge of performing live in Ableton, by giving you hands-on control of your clips and tracks with four simple modes: Session, Note, Device and User. You don't need to set anything up; simply plug in and starting playing your music - everything will just work. 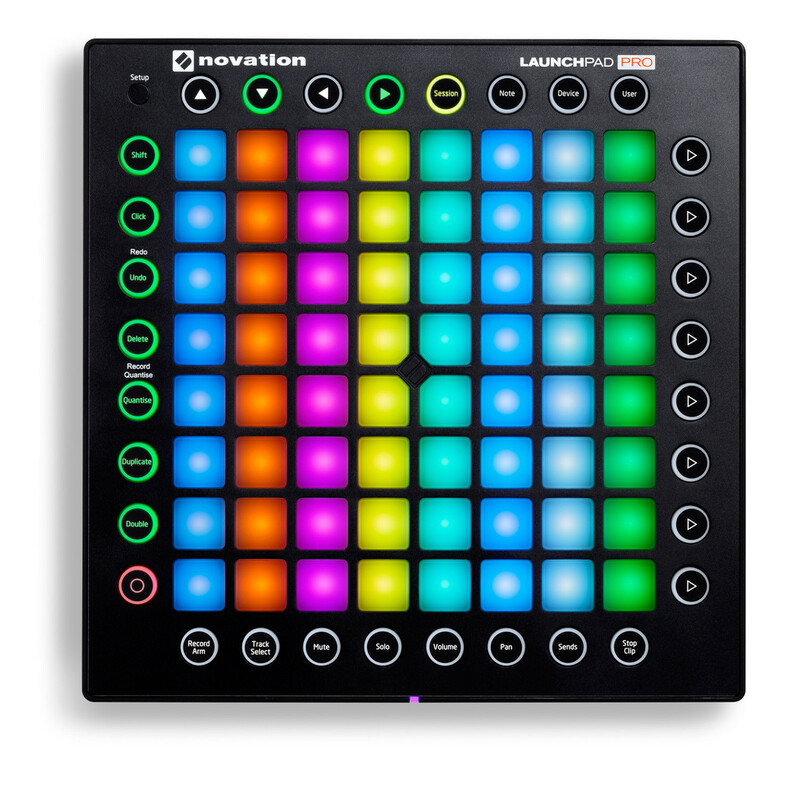 Drum racks are automatically laid out and illuminated, which makes it as easy as possible to create expressive beats and drum performances using the velocity and pressure-sensitive pads. 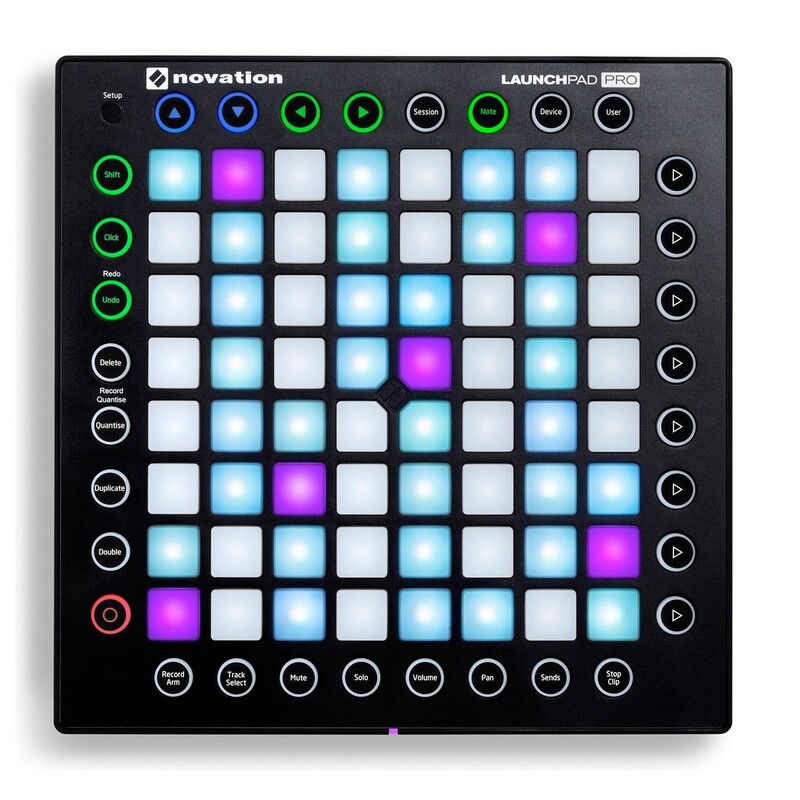 The Novation Launchpad PRO comes complete with 60 free Melodics lessons. 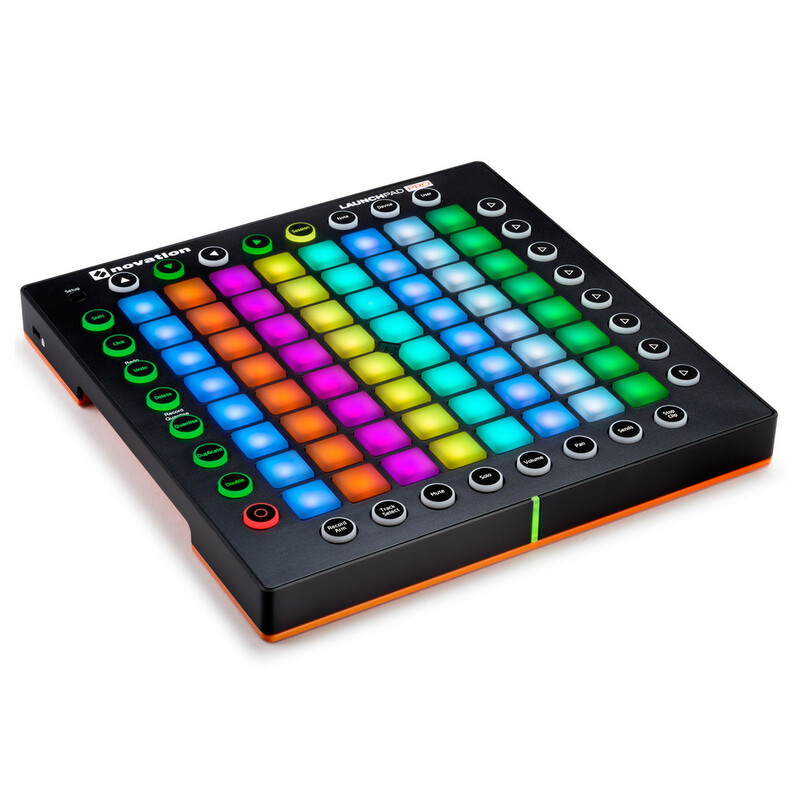 Melodics is a desktop app designed to teach you how play MIDI keyboards, pad controllers and drums. 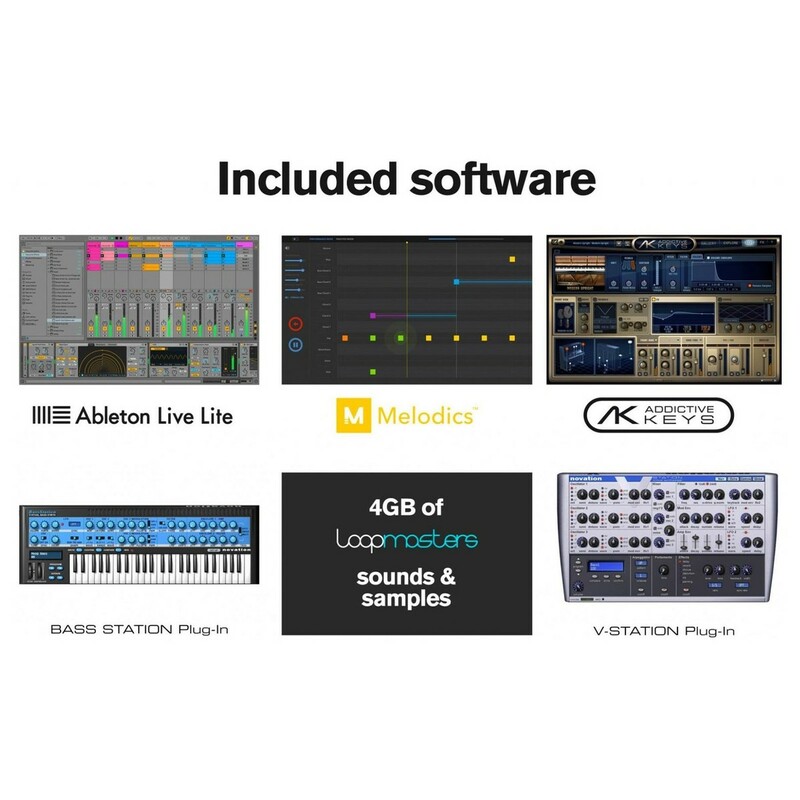 Each lesson in Melodics is broken down into simple steps, adding another layer and working your way up to complete a full track. The lessons span different genres from classical and new jack swing to grime and dancehall. 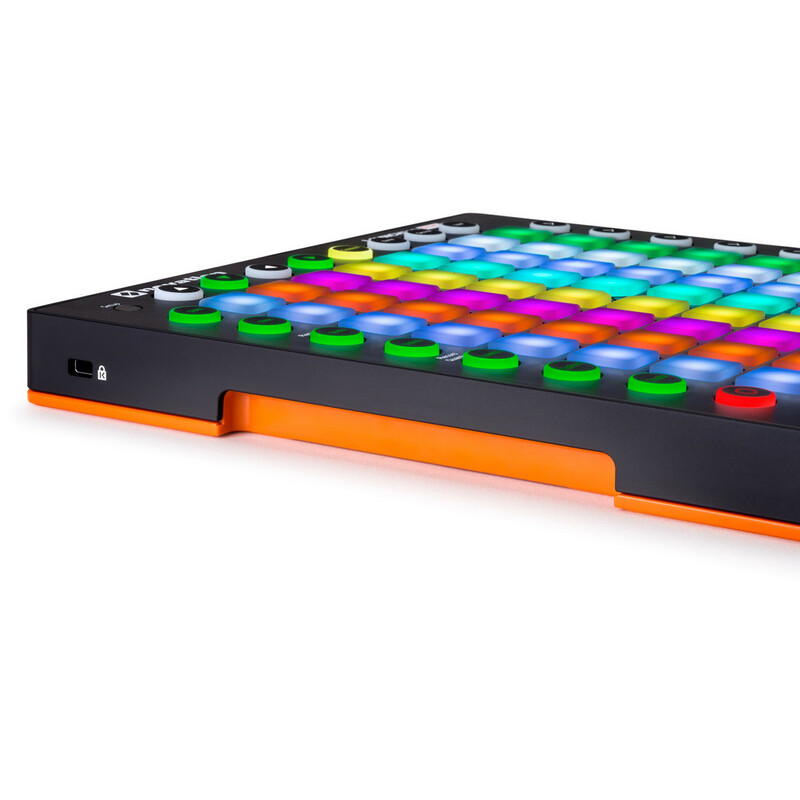 Melodics is perfect for building your skillset using the Launchpad PRO.